Since June 2011 aftre the first sidescan sonar images were shown – the speculation on what the bizarre shaped anomaly lying in 80 metres of cold water in the Baltic Sea, has been unrelenting. Could The Baltic Anomaly Be A Meteorite Laden With Precious Metals Such As Platinum and Gold? Now these two possibilities, gas discovery or meteorite may seem like pretty mundane explanations to the people who have pegged everything on this being a USO or undersea base; and when we say USO we mean something manufactured but not having originated on this planet. The attraction of an extraterrestrial explanation to many is that we could be dealing with the equivalent of a “Roswell” crash at sea that was potentially missed by the military and has remained undiscovered at the bottom of the Baltic Sea for a long time. Ultimately this could lead to the walls coming down on the secrecy that has been maintained over the years. In the end though, the reality of this discovery may be something more earthly, but having said that, it remains difficult to explain many of the features and evidence we are presented with in the sonar imagery. Still, let’s continue down the path for a moment with the hypothesis that the anomaly is in fact a meteorite or gas discovery. The important thing to remember here, and something that many have forgotten is that the OceanX team are primarily treasure hunters and UFO hunters second. So would the discovery of an ancient alien craft be an attractive bounty after all? At first glance, this looks like find of the millenium, but a confirmed extraterrestrial discovery of this magnitude would surely lead to a level of fame and intrusion that many people would not be comfortable with, and depending on where your objectives and mindset lie, you may view such a discovery not as a blessing, but as a curse. So perhaps these more mundane explanations would be quite welcome by the OceanX Team. It could be infinitely more profitable to treasure hunters and almost certainly more low key. 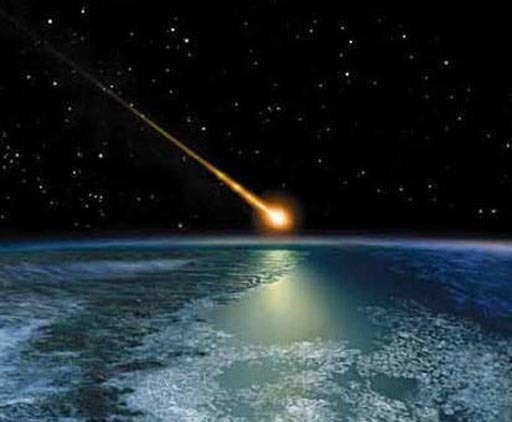 Many meteorites come laden with vast amounts of precious metals such as platinum and gold at well over $1500 an ounce, a 200 ft wide meteorite may contain enough wealth to make Bill Gates feel inadequate. Of course, that all depends on just how difficult it would be to raise the metals to the surface. Assuming the object is a gas discovery for a moment and that it is located in international waters, that too may be a highly profitable find with potential finders rights and ongoing profit linked to any discovery of significant size. Whatever the strange circular anomaly is, one thing is clear. The following weeks will be full of anticipation and hope.